Its that time of year again. The days are shorter, the nights are colder and theres the feeling of excitement and anticipation in the air. Nope, its not the fat man in the red suit but it is the start of snow sports movie season. This is kicked off by the guys at Sub Zero Events putting on a feast for the eyes with the iF3 in London on the 9th November. This event brings together the snow sports community and gives the opportunity for everyone to see the latest ski and snowboard flicks and meet the stars. Its a unique event which not only gives you the chance to see these incredible projects but also to hear from the athletes and film crew and to meet them in person. Its the perfect way to get stoked for the coming winter and to get inspired to get out to the snow. Not only do you get to see the UK premier of many ski and snowboard films but theres also prizes, promo stands, signings and the legendary afterparty to kick of winter with a bang. For the full schedule head over to the following link http://subzeroevents.com/schedule.html. Head over to http://subzeroevents.com for full info and tickets. I have spent the past 9 years working as a ski technician, the last 4 of which have been managing and running workshops around the globe. 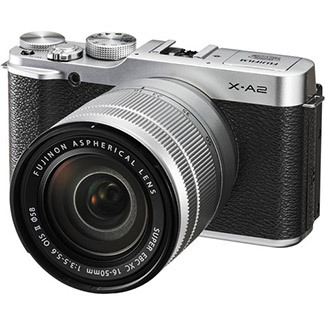 This article is about why you should take your cherished gear to your local shop. Get to know the guys wearing the aprons and they will make your skis or board run better than it ever has. So what are you getting when you take your favourite ski or snowboard to your local tuning shop? You may not know goes on when your gear gets taken into that dark room in the back of a ski shop, but i'm going to explain why you need to get your gear professionally tuned. Looking after your ski and boards is the same as anything else, be it your car or bike, the more you look after it the longer it will last and the better it will perform. Ski's and boards are designed to have a flat base with beveled edges allowing for turning initiation. Over time hard pack and ice will wear down the edges causing the base to no longer be flat which will have an effect on its performance. You will inevitably hit rocks and take chunks out of the base and again these will cause drag, slow you down and will have an effect on the way you ride. 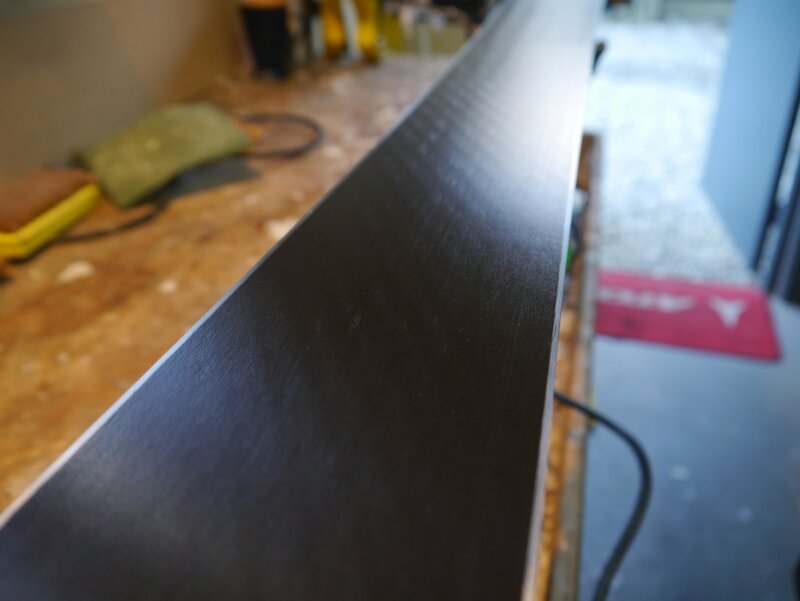 A good ski tuning workshop will be able to get your skis looking like they are fresh out of the box, starting by repairing the scratches in your ski bases with ptex. Its possible to do this at home with 'drip candles' but they are more of a quick fix, a professional workshop uses high temperature ptex guns resulting in a better finish and a more durable repair. Next up is to flatten the base on a machine using a mix of different grit belts and a stone grinder, a flat base is important as it means the angle of your edges are true. 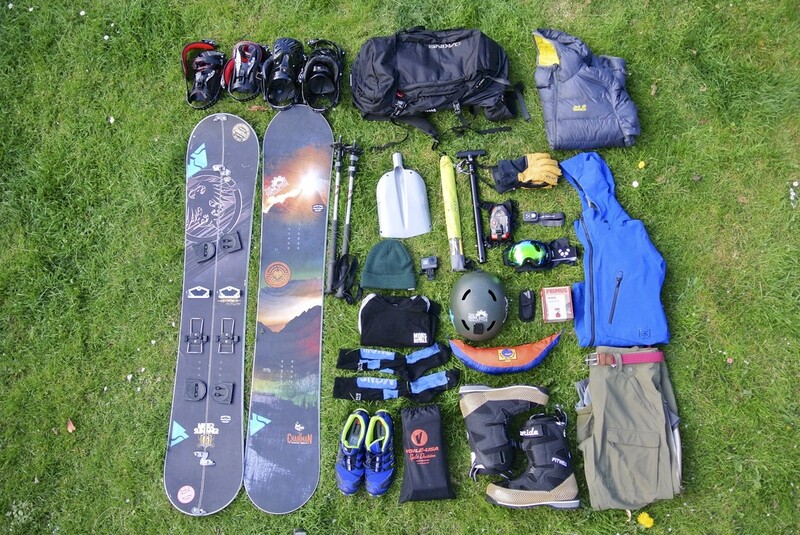 Its down to the knowledge of the ski technician as the process involves a certain level of skill and an eye for detail. 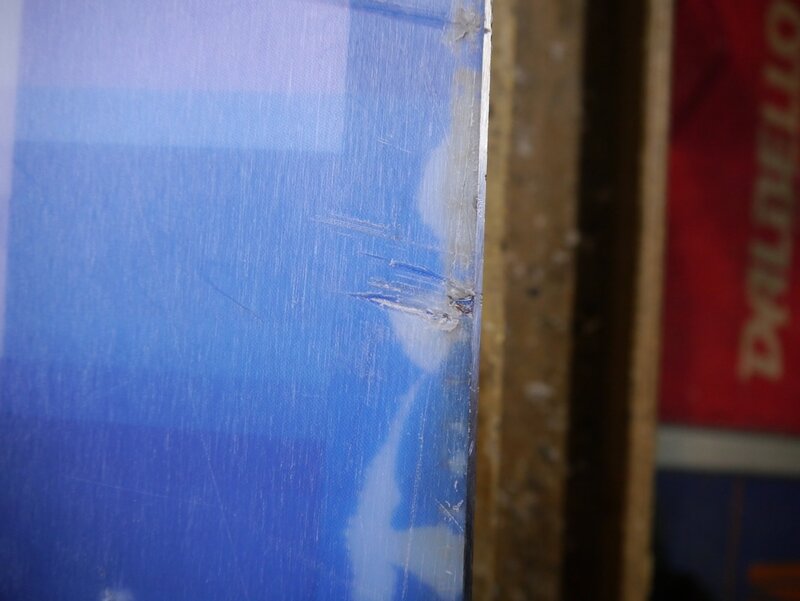 A good technician will know how much to grind off depending on the brand of ski or how old it is. The most important part of a tune is the structure of the base, this is the pattern that you can see when you turn the ski over. 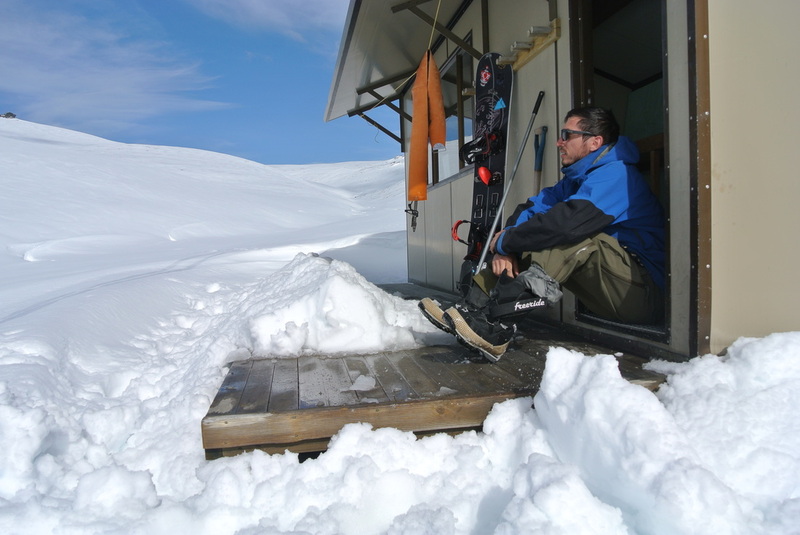 Without a structure the ski/board will run slow and not as responsive as it should be. A structure is a a very light pattern that is etched into the ski/board by using a stone grinding machine. In essence the structure allows water to channel out of the base allowing for a smoother glide in snow by working with the wax that has been applied. 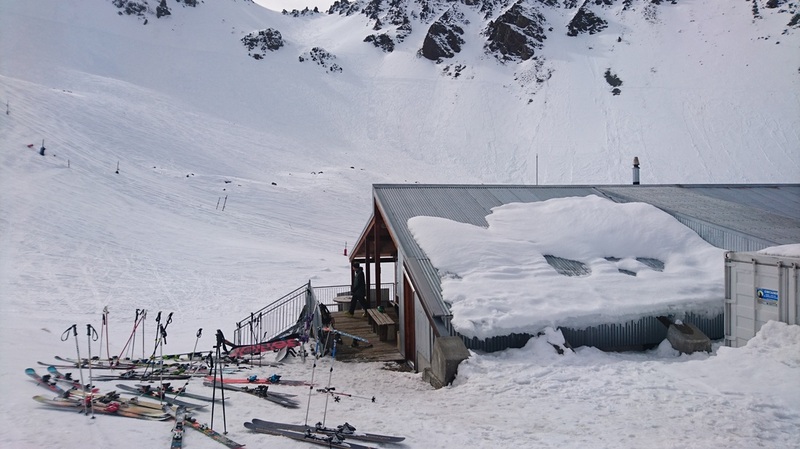 Ski workshops will create their own structure to suit the conditions of local mountains, but here is a rough explanation of how it works. Imagine two pieces of glass put together with a blob of water between them, if you try to slide the pieces around they wont as the water has no where to go. Now try the same experiment again but first scratch one of the pieces of glass, the water now has channels to flow though which means the two pieces of glass can slide apart. 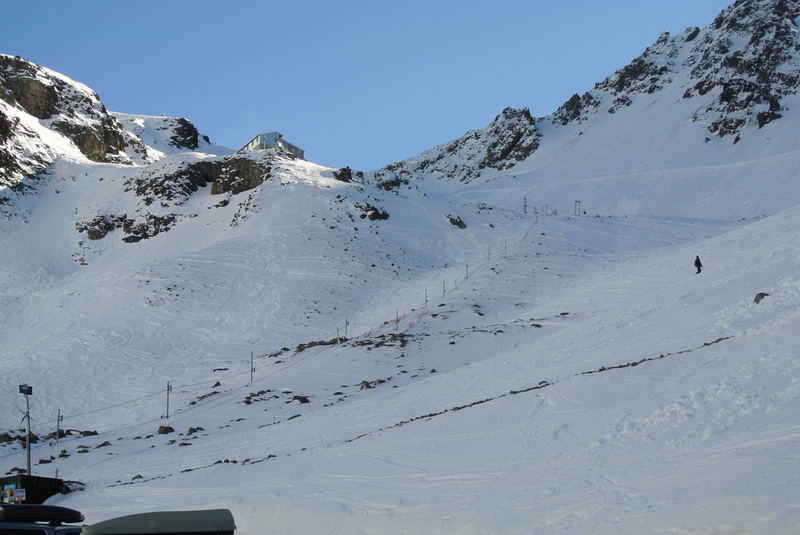 The exact same principle applies to a ski or snowboard, and the pattern will be changed when the snow temperature changes, the slushier the snow then the more aggressive the pattern needs to be to cope with more water content. Next up is to tune the edges, the most effective way of doing this is with a ceramic disc but there are various other belts and files that can do a good job too. Angles will vary but for the average skier a 1 degree base bevel with a 89 or 88 degree side edge. 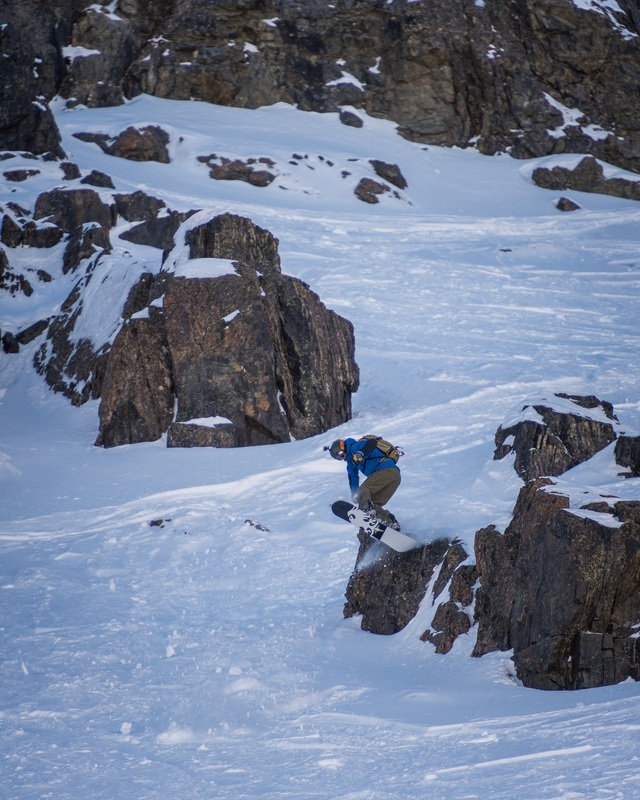 The more aggressive skiers will have a steeper angle giving them a more responsive turn. Detuning is the last step before waxing. Edges need to be slightly detuned in the tips and tails to remove some of the sharpness from a fresh new edge. Most people will have a horrible day if this step is missed, the edges will be too sharp and the ski can hook when turning. Edges want to be sharp but they need to hold well in a turn, this is what 'detuning' will help with. Final step is wax. Wax is often over looked but it is an important step that works with the structure. 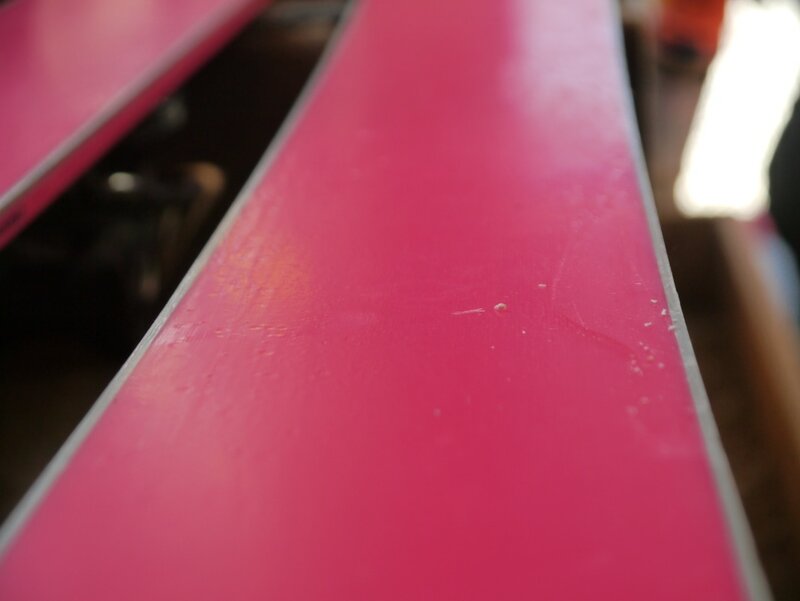 Wax works by melting the snow under the ski/board by friction resulting in a glide. If snow is very cold then a harder wax is needed due to the more abrasive colder snow. Spring snow typically requires a warmer/softer wax. A workshop should suit their waxing to the current conditions, but this is a part of ski tuning that can be done at home pretty easily. Here are a few steps on the proper wax to wax your ski or snowboard. Use a wax remover to remove any dirt and old wax. A clean base will absorb more wax and give a better result. There are many ways of doing this. My preferred method is to drip a thin line of wax down the ski or board in an 'S' shape. Im very particular when it comes to 'ironing' the wax into the ski. Use an iron where you can easily control the temperature, most wax's are comfortable at around 120 degrees C. Any more then this and you can burn the wax and the iron will smoke to much. When ironing the wax into the ski, move slowly but consistently along the ski, not in circular motions. Try to create a nice smooth layer of wax, this will make it easier to scrape and will prevent scratching of the ski base. Leave until cool to the touch. 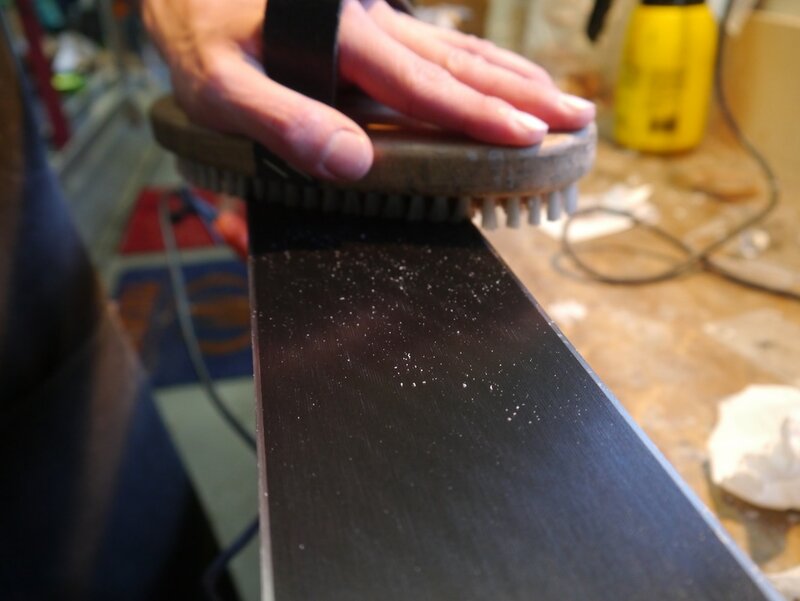 ​Always use a plastic scraper and try to keep the edges flat and sharp, this is key to getting a nice finish. The wax that has hardened and cooled down is dead wax, all the goodness has been absorbed into the base so all of tis wax needs to be scraped away. Don't be tempted to re melt the scrapings as the wax is no good. The best wax to get a nice finish is to use two brush's and a scotch pad. 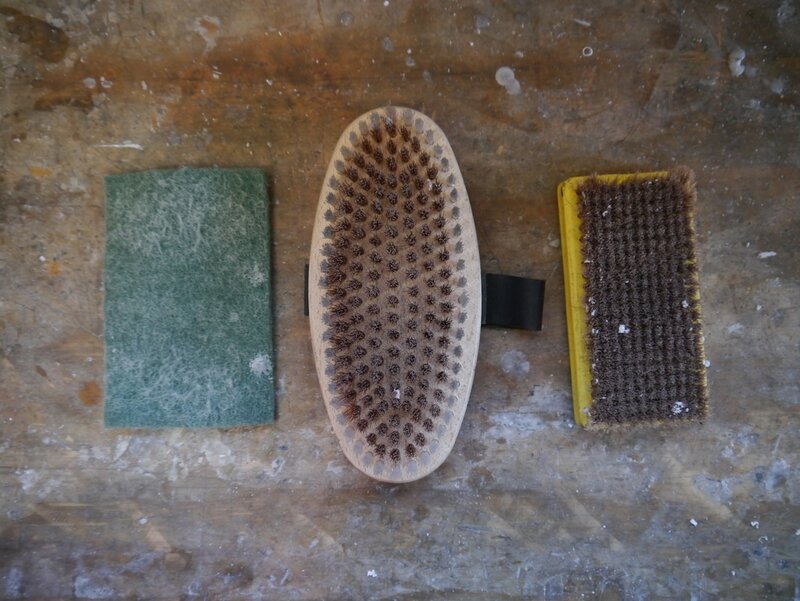 First step is to use a brush with a hard bristles and brush from tip to tail, this get rids of any left over wax. 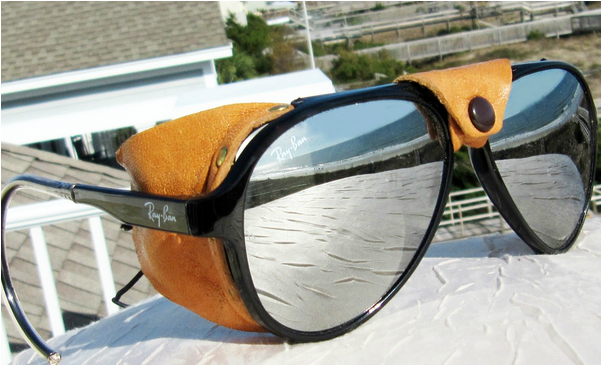 Next, do the same with a soft bristle brush to achieve a nice shine. Lastly, run a green scotch pad from tip to tail, this lightly breaks up the base's surface wax and creates a mini structure. Waxing is an art, but done properly it will last you a week of usual riding depending on snow conditions. So get down to your local ski shop, you wont regret it. 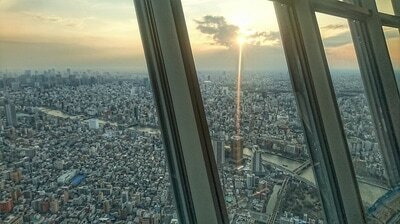 Japan is a beautiful country with some of the most forgiving and generous people I have come across, they can never do enough to help you. I worked for a well known ski and snowboard shop called 'Rhythm' where there were a few locals working with us and I can honestly say they were the most amazing people who are always stoked on life and want to share their happiness. Whether its getting your carve on or partying, they are just a good time. It was these people that made my experience in Japan one I will never forget, In fact the whole crew at Rhythm are pretty special. 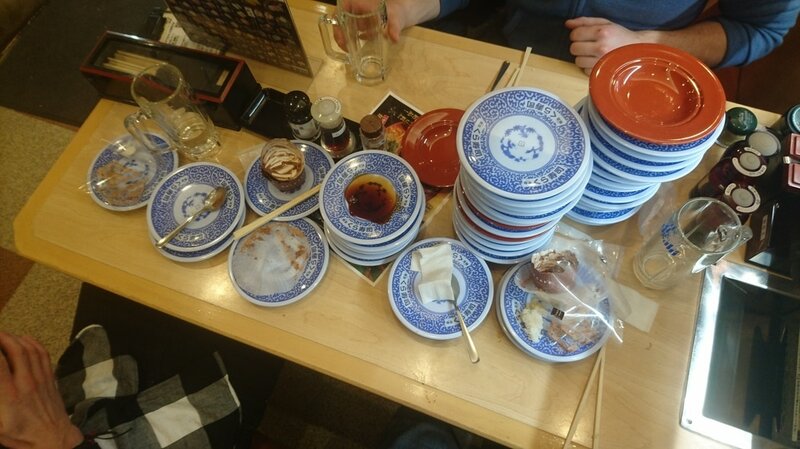 There is no better feeling than going riding with your friends followed by an Onsen and chowing down on Ramen or Sushi. An Onsen is natural hot water that springs from the earth and is routed into public pools. The catch is that you have to be in your birthday suit which at first its pretty strange but once you realise no one cares about your junk, its actually feels natural and is amazing for resting aching muscles after a day's shred. 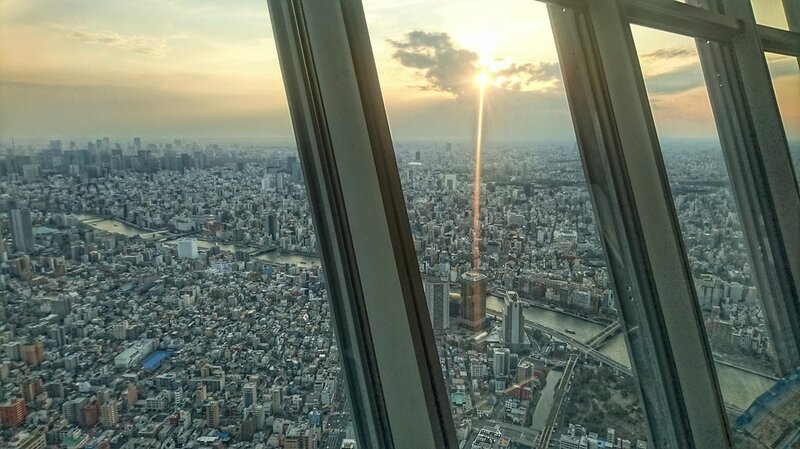 Japan is the total experience. 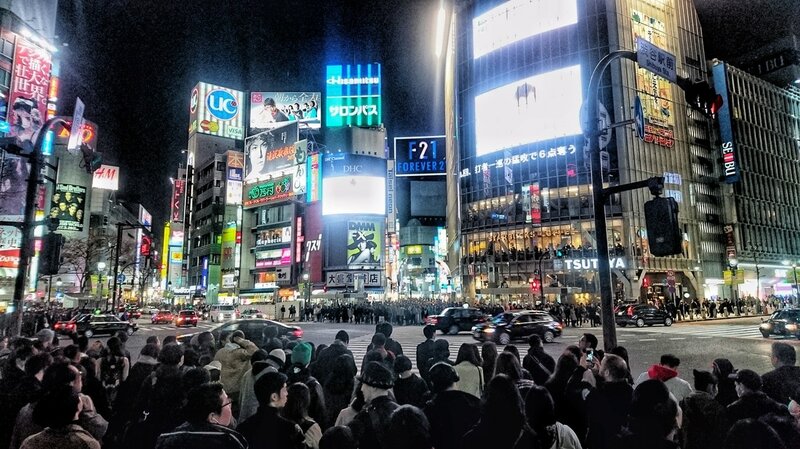 The food, the people, the culture and the riding all mix together to create this complete package that is unlike most places i have been to, and its the reason you need to go to Japan at least once in your life. 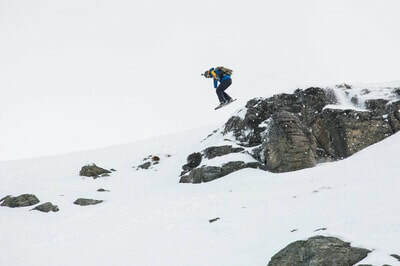 When it comes to exploring the backcountry it's a slightly different story. The locals keep their cards close to their chest and are careful who they share their knowledge with, and while it can be frustrating, I think its a positive thing. You have to earn your turns before you have even got onto the snow. It also protects this very special place from becoming overrun with people. There are two really good guiding companies in the valley, Evergreen and The Good Guides. The Good Guides is run by Jerry Williams, a very good guide who has been in the valley a long time. 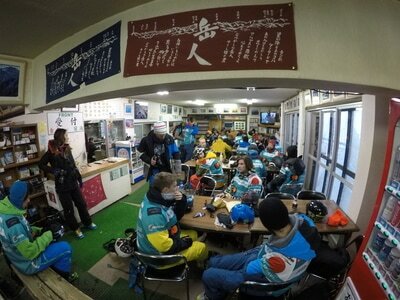 Evergreen is run by Dave Enright, another person who has been in Hakuba a long time. 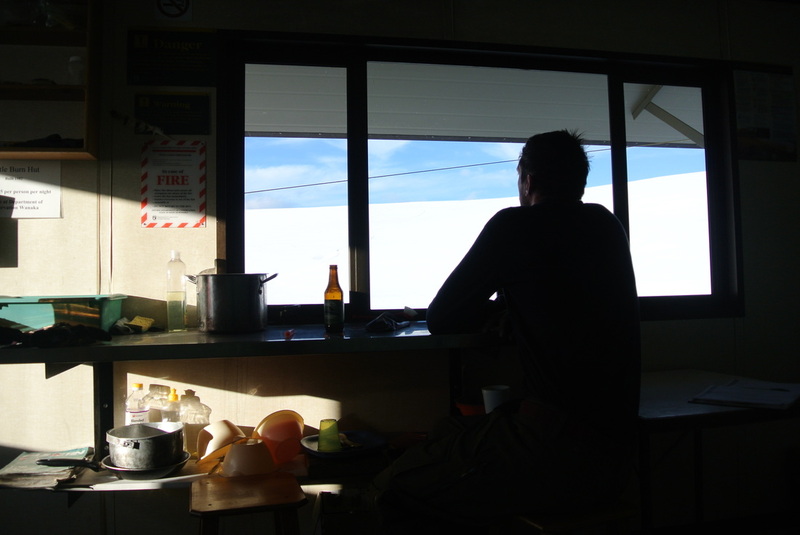 There is also one of the most prominent avalanche researchers in the world called Bill Glude ( See him on the 'Billabong Lines' movie). So there's no shortage of people to ask. 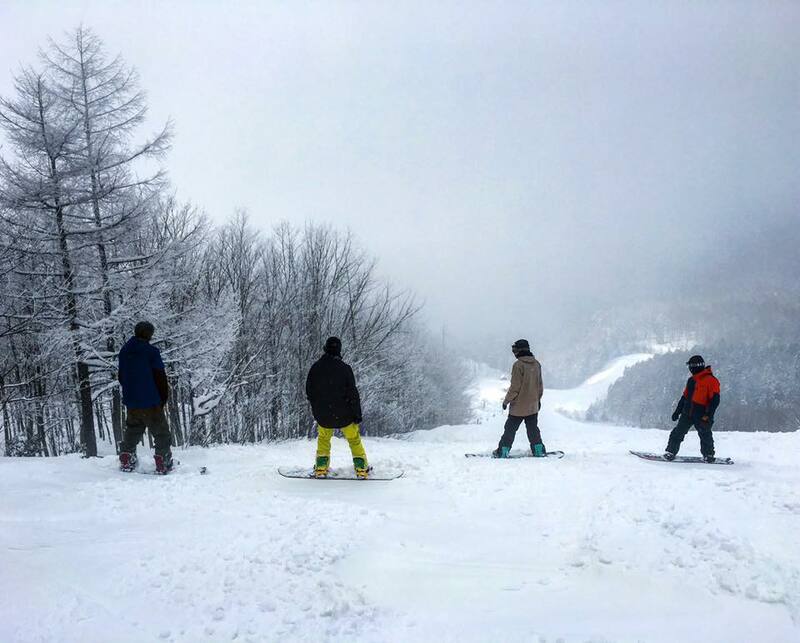 Although still a relatively sleepy place, Hakuba is starting to become more well known. 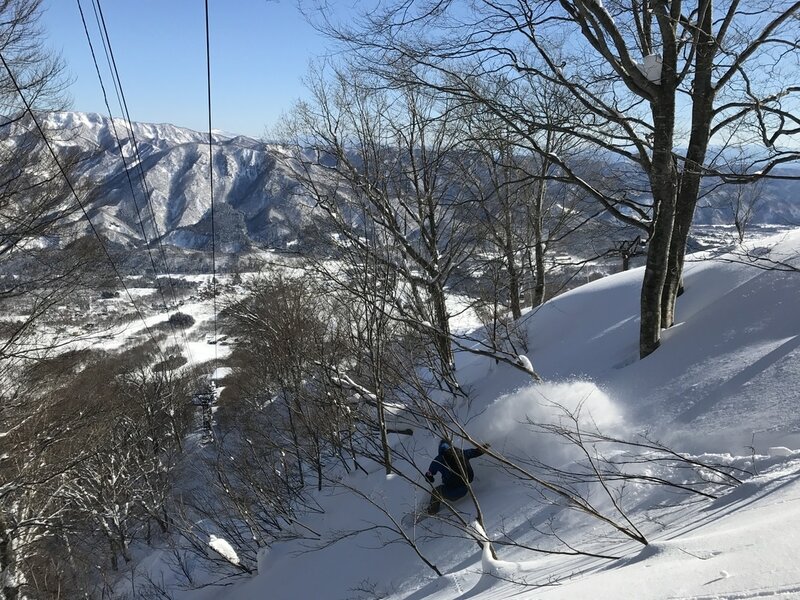 Situated on the south island of Japan and about 3 hours from Tokyo on the bullet train, it receives slightly less snowfall than the more well known Niseko who, on average, will get around 14 metres annually while Hakuba will get a mere 11 metres. 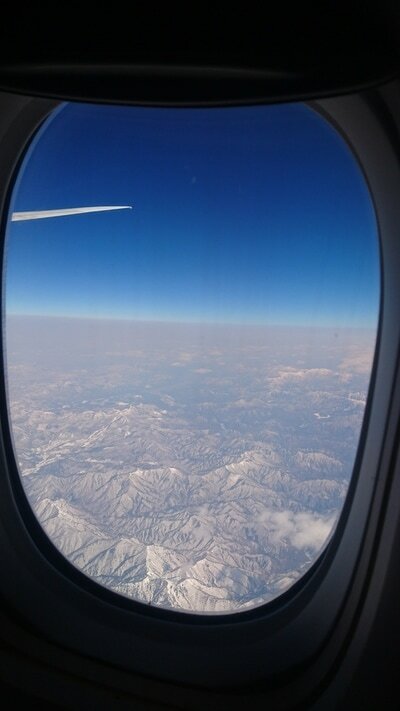 … Hakuba more than makes up for it with the sheer size of their mountains. 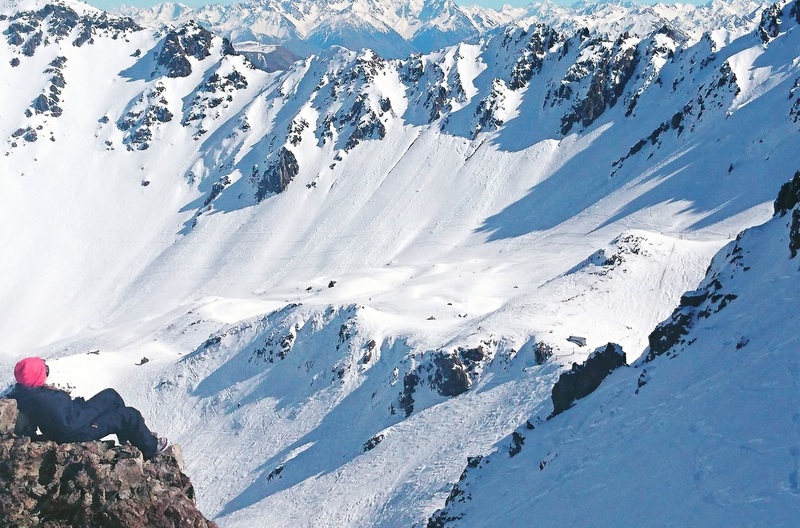 This year they hosted the first Asian Freeride World Tour Qualifier event which brought with it some of the biggest names in skiing and snowboarding (maybe you saw a certain Travis Rice throwing down). I noticed over winter there were a lot of names and film crews, so while it's still Niseko's little brother I feel it's an area on the up. ​Japan has the most ski areas per country then anywhere else, the figure is now around 500 although it was once a lot more than that. 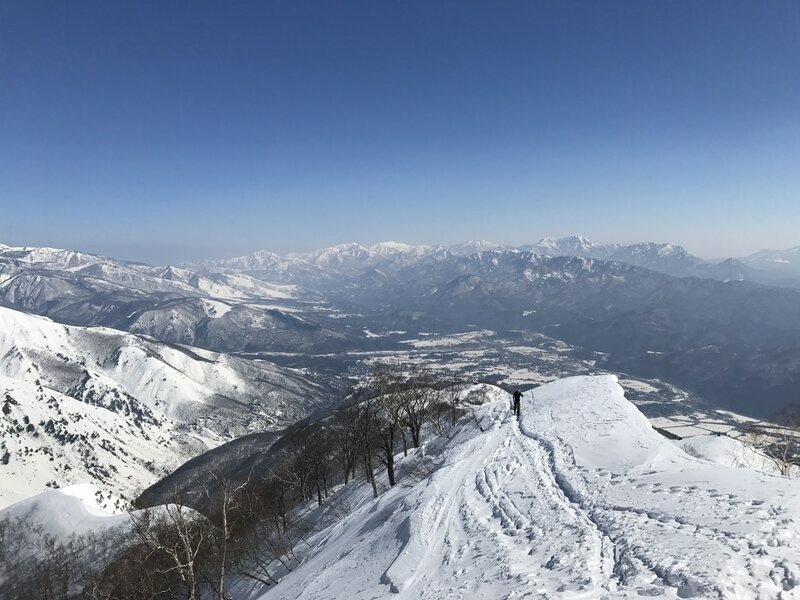 The Hakuba Valley is made up of 11 resorts ranging in different heights and aspects, meaning there is always snow to be found if you know where to look. Happo One, Tsugaike and Goryu are the biggest and are the gateways (literally) into the huge mountains that dominate the background. 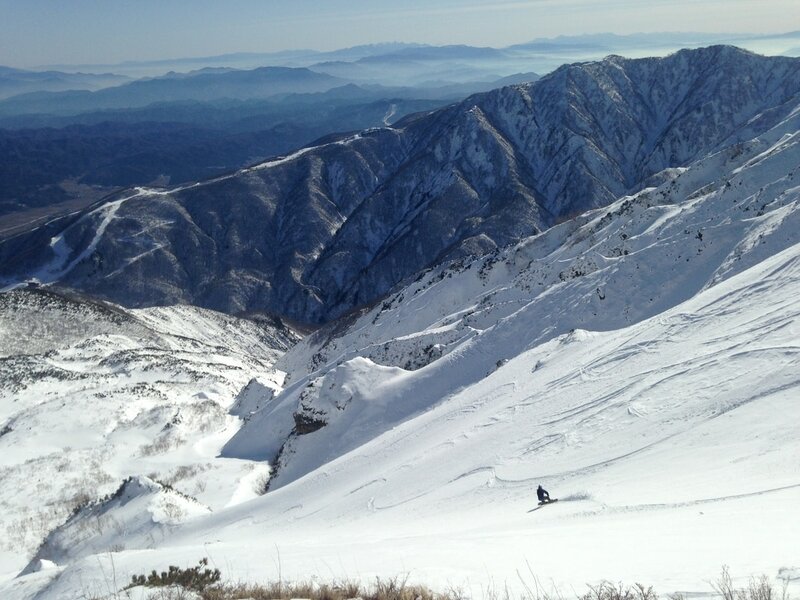 The terrain around Hakuba is very unique. 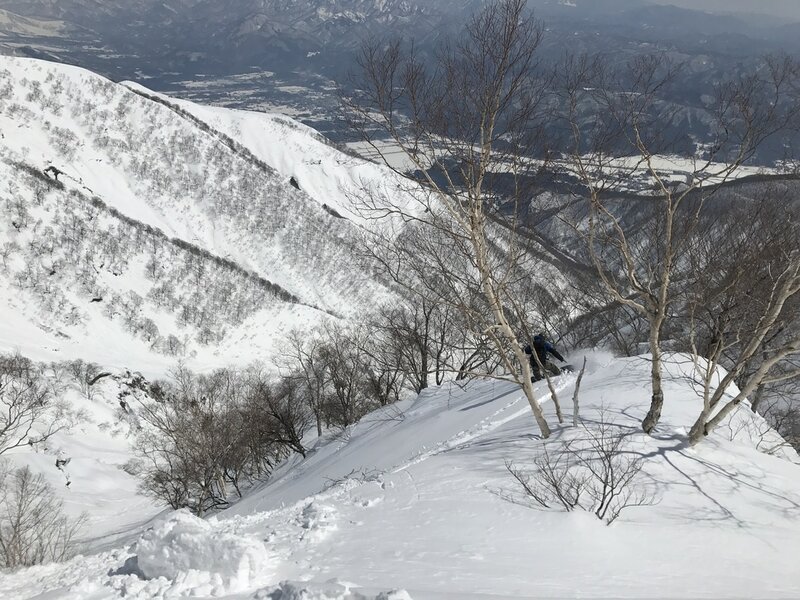 The mountains are huge with horribly steep faces, throw into the mix the huge amounts of snow that Japan gets and the endless terrain traps and it makes for an intimidating prospect. Doing your research is important here, you need to have your snow safety knowledge up to scratch and keep an eye on the ever changing weather. Hakuba weather changes so often. 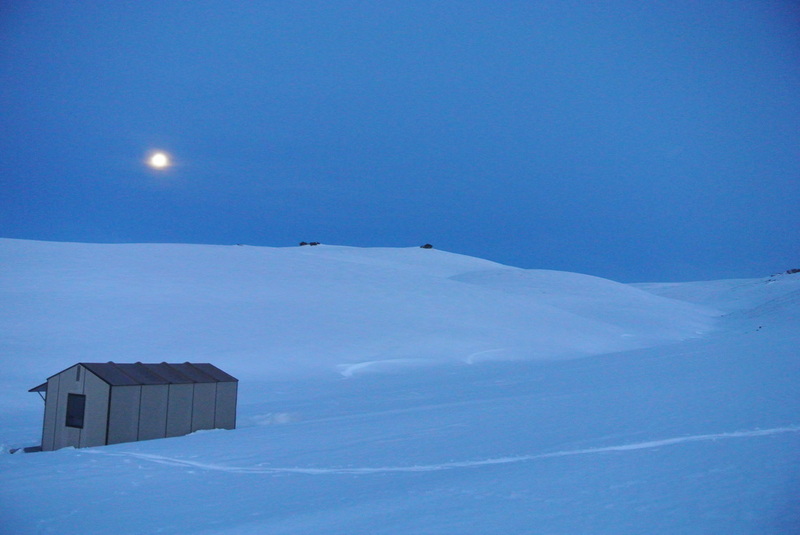 We have hiked in winds that you could barely stand up in, weather forecasts that predict 10cm will drop over 70cm and cloudy days will become bluebird in the drop of a hat. But saying that, just getting out and exploring is recommended, its hard to judge faces from photos here, but you can usually skin up a safe ridge line out of the resorts and get a good look at the potential....of which it seems there is a lot. Just always be willing turn back around. ​I didn't get out as much as I wanted this winter, but the times I did go backcountry were incredible. 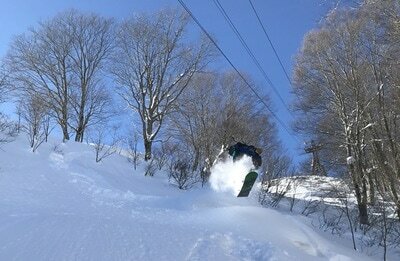 It was definitely quality over quantity with some of the deepest snow and epic line choices. It seems like it takes a little bit more effort then most places to get the goods, but its totally worth it. I'm not going to be the one who spills the beans on the secret spots, but I will share one of the best lines we found this winter. For me, it was the best line of my season and it happened to be on the last day too. We set off early from Goryu (after mistaking woman's make up for suncream, although it still did the job) in order to beat the ever increasing warmth. We had a rough idea where we wanted to get to, but had no idea if the line was possible or if the conditions would be safe enough. Putting our skins on at the top of the resort we set off up through the trees and into the alpine, luckily there was a pretty decent skin track already so no breaking trail. We were expecting a tough skin and while there were a few tricky sections it was nothing too taxing and after 45 mins we were stood on top of the ridge line that lead to our goal. It was exposed and windy but the views soon took our minds of it. In front of us were Alaskan style mountains rising into the sky while behind us the snow dropped dramatically down to the valley floor. 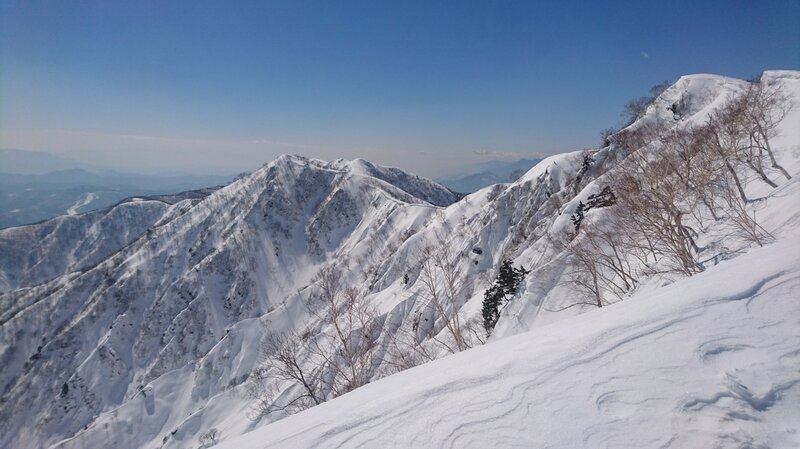 There were a few people around, but in Japan it seems to be less skiers and more people hiking with camping gear and crampons, I find it insane to climb up these mountains and not feel the need to ride back down, but it's good for us. After a quick transition from touring set up we rode down to the top of the spine we had been eying up. Both of us had the same strange thought, absolutely scared but had a good gut feeling about it. Doug did a few stability tests which made us feel more comfortable. Standing above this spine was awe inspiring, we were looking straight down the most perfect looking steep, snowy face that just seemed to drop away into the valley below. 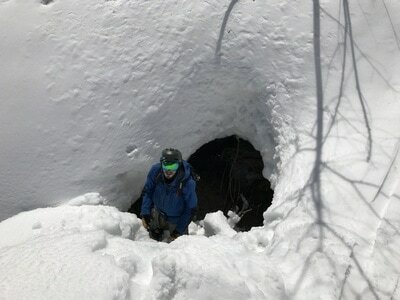 I dropped in first and rode some beautiful soft spring pow, stopping half way down to wait for Doug. Once we regrouped, Doug dropped in to finish the rest of the spine, the snow was on point and accentuated by the rooster tails being kicked up from his skis. I followed and found a nice open face on the left that dropped back into the valley, getting some turns in on some flawless Japanese snow. Once we got to the valley floor the snow suddenly changed into porridge, we struggled to keep speed up on the flat ground. This is pretty typical in Japan, as the elevations aren't the highest you do get a lot of sticky snow on the lower slopes. We didn't want to stay around too long due to the heat and danger of wet slides, and after a short stop involving me falling into a river, we ended up back at Goryu. 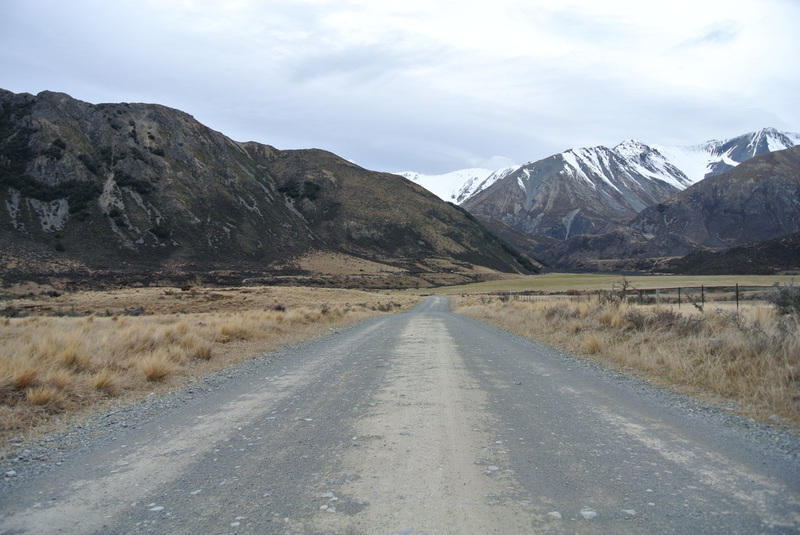 Looking back at the mountains we had just come off left a feeling of achievement and the stoke was high. To end it all, as we got back into resort, there was a race going on. Not just any race, but a kayak race......on snow. It was carnage, but the free beer was flowing and it was hilarious to watch. Welcome to the craziness of Japan..
2 days, 11 ﻿hours driving, 6 hours sleep and a lost pair of shoes.....Mount Olympus, Take a bow! ​This week I entered my second Freeride comp of the season here in NZ, it was being held in a small club field near Christchurch some 6 hours road trip away from Wanaka. 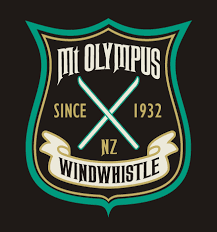 Mount Olympus has legendary status here in New Zealand and is on every freeriders list. For those who don't know, an NZ club field is a unique thing, it's like stepping back in time to when there was a rawness around mountain sports and a less commercial atmosphere. The 'clubbies' are usually deep in the mountains and consist of a gnarly access road that looks like Fred Flintstone has cut it, a basic base building and 'nutcracker' tow ropes which are an art form to master. They are notoriously hard to get to, but if it was easy then everyone would go there, the isolation is part of the magic. 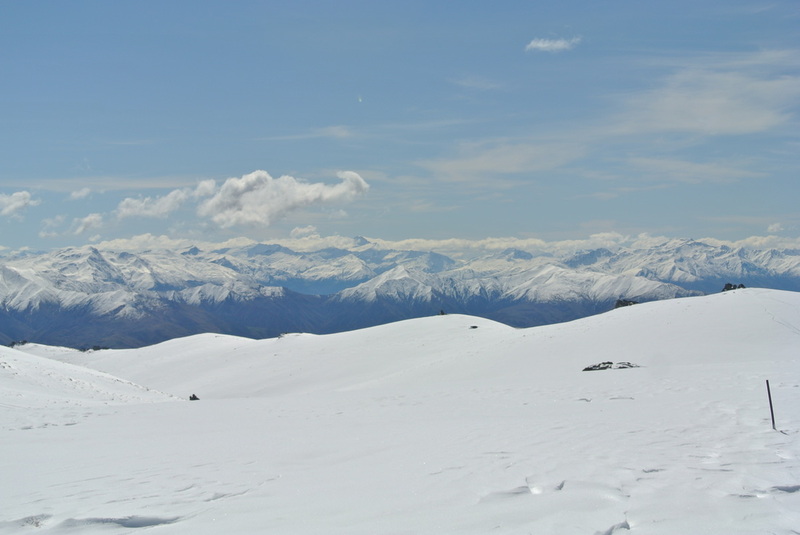 I finished up in the ski workshop and left Wanaka around midnight to start the long drive to Mt Olympus. I stopped around 3 am as I realised I had no petrol and that NZ doesn't do 24-hour fuel stations meant that I had a 4-hour wait/sleep until the fuel station opened up, kind of a blessing as I was cooked! At 7am, I was on the road again and was greeted by an incredible NZ sunrise over the Canterbury Plains. 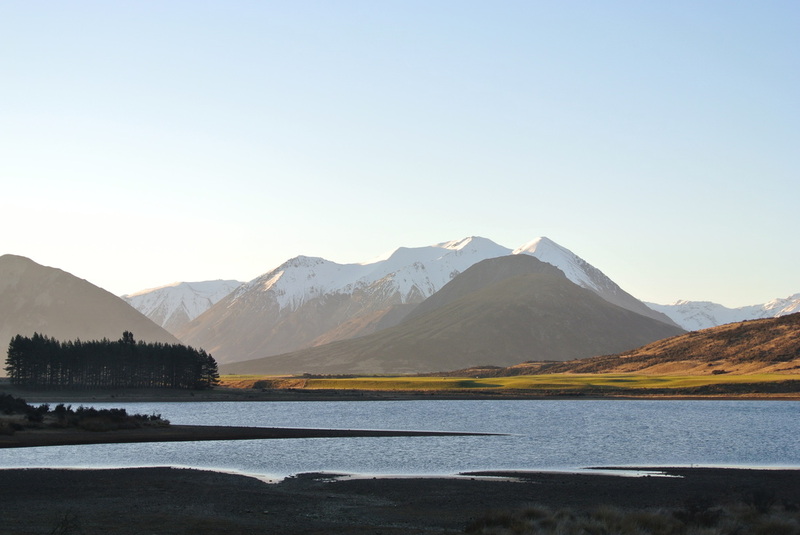 Living in Wanaka you forget how beautiful the rest of the south island is and the mountains rising up out of the Canterbury flats at sunrise is an incredible sight. 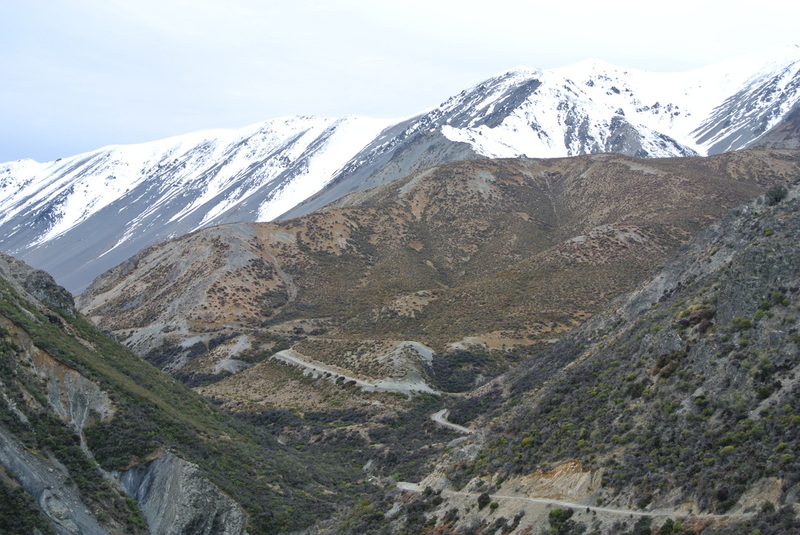 The access road to Mount Olympus is up there when it comes to scary roads. Steep drops on one side, avalanche debris on the other and rocks so big the trusty Subaru could only just clear them.....But this is all part of what makes Olympus so special, you earn your turns before even reaching the snow. It's pretty rare to arrive at a ski area's car park and immediately feel the excitement and energy around it but Mount Olympus definitely had that. The lodge was definitely not what I was expecting. Its' pretty luxurious with a hot tub on the deck looking over the mountain, a bar, fireplace and a big area to chill out in. The staff are all super friendly and help to create a fun atmosphere. Just looking around from the deck you can see the incredible mountains available to you, from steep chutes to open faces with endless amounts of cliffs to drop. The day I arrived was inspection day, my first challenge was the Nutcrackers. I was probably more nervous about these then the actual competition but as it turned out they weren't too bad.....and by that I mean they were uncomfortable and awkward and you are never sure if you are going to get bucked off, but you do get used to them.....so I'm told. 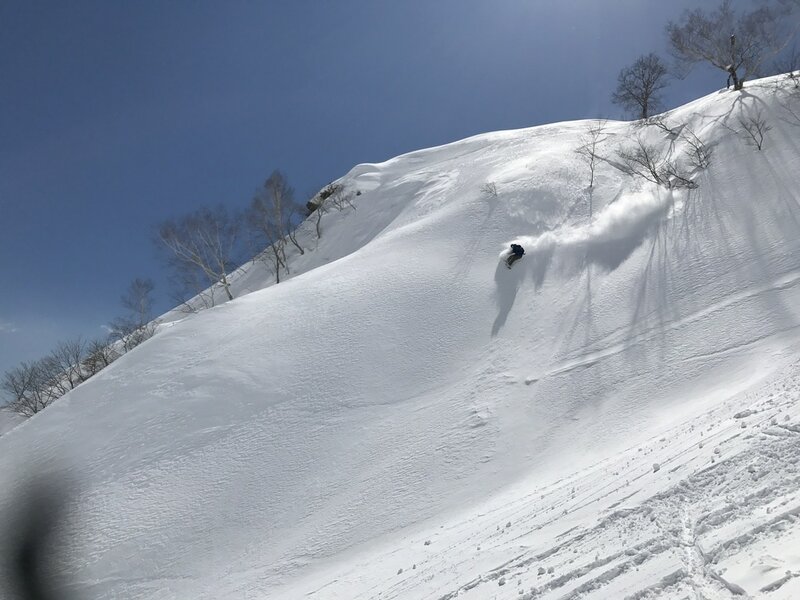 The freeride venue had been moved a few times due to the hot weather affecting snow conditions and safety but eventually they decided on a face that was pretty short but spent most of the day in the shade so the snow was stable and untracked. The downside was that this face was very 'sharky' which was going to make it more of a challenge for each rider. It doesn't take much for a rock to ruin your run (and your skis) as a few people found out. The next morning we had our briefing after breakfast and for once I was not nervous, in fact, I was really excited. I had a rough line picked out but didn't decide until just before dropping in. It's always the hardest part trying to pick a line that will look fluid but still has those technical sections mixed with drops but I was pretty confident in my line choice. I've learned that it's not always about how big you can go, sometimes it's about reading the conditions and adapting your style to suit them. After the long boot pack to the start gate, and a few minutes to take in the views, it was my time to drop. 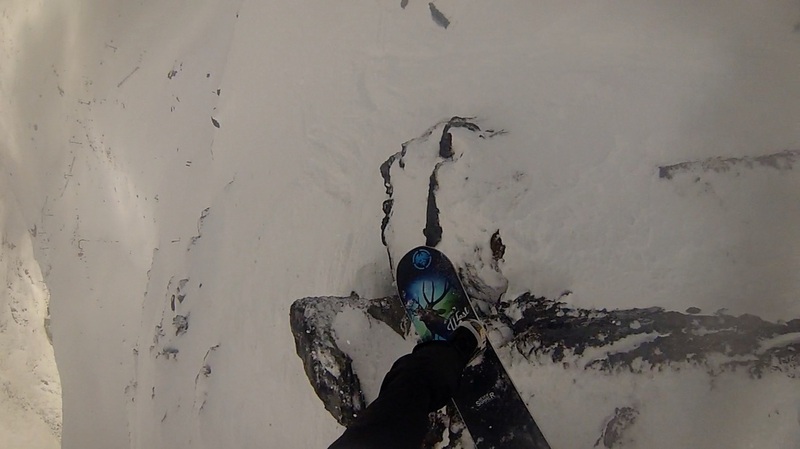 I hit my first drop on the highest part so that I could get to my next cliff, annoyingly I put my hand on the snow when I landed. I carried on straight into the next drop and landed it perfectly into some fresh snow that I could ride with speed and control before coming to the bottom section. I chose to pick my way through some rocks to get to my last and biggest drop which I hit with a flat base and stomped the landing. A few fast turns and I was at the bottom, I felt great and with people coming over to congratulate me, I knew that it was a good run. There's no better feeling than being cheered across the finish line by people that you look up to for inspiration. After watching the rest of the comp I shared a few beers with some people on the finish line while looking out at the amazing views. It still amazes me how quickly people bond at freeride events, there is such a high energy and intensity before the comp that I think people let go once it has finished. The level was super high again, and I finished in 4th place with a score of 61. I was a few points off the podium as a result of my hand drag so I was kind of disappointed but at the same time stoked to come 4th in such a good competition. 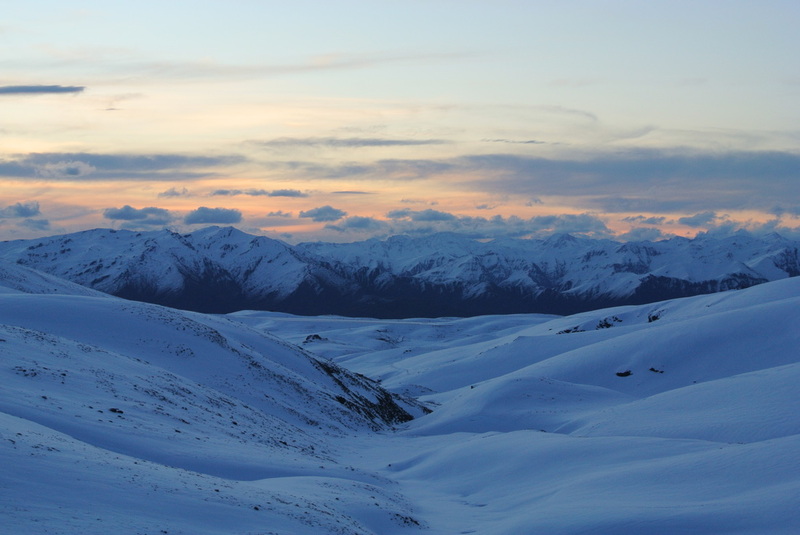 I had to drive back to Wanaka straight away and missed out on what would have been a pretty loose after party. I was amped to be part of this event and as always its the people you meet that you remember. 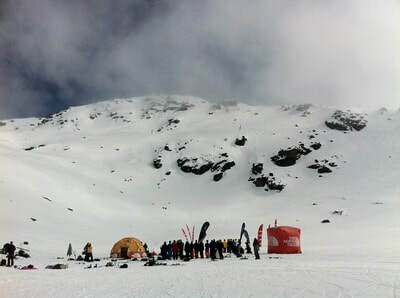 Hopefully, this is the start of a New Zealand club field freeride series. This was a special competition, you could feel the energy of the place and the atmosphere was very different to other comps. People were taking it seriously but the underlying fact was that everyone was there to push themselves and to truly enjoy the moment.